Jupiter's icy moon Europa can be seen casting its shadow onto the gas giant as it emerges from its transit across the planet. Europa is slightly smaller than our Moon and has a very smooth surface of ice. 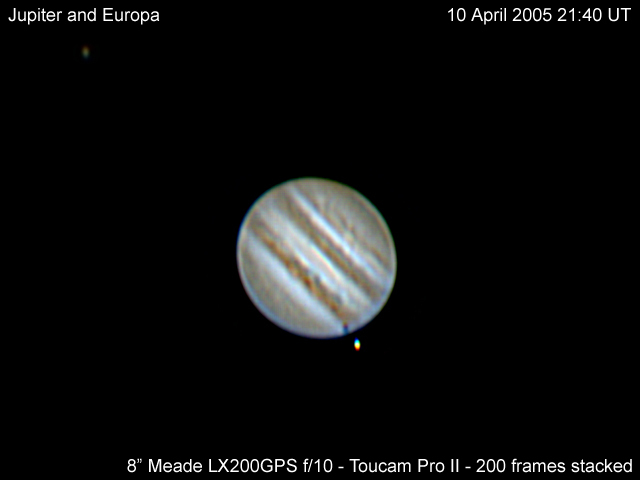 The moon in the top left corner of the image is Io.